Apple delivers macOS 10.12.2 update for Mac devices. The latest update introduced 100 new emoji. 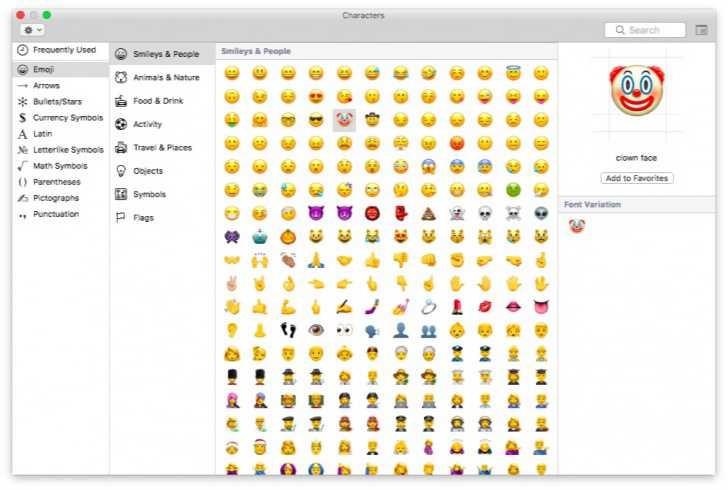 Apple also redesigned several of the existing emoji, giving them a fresh coat of paint. The update also added new ability for Macbook Pros to take screenshots of the Touch Bar using the Command-Shift-6 shortcut. Apple macOS 10.12.2 update also adds four new wallpapers: Abstract Shapes, Color Burst 1, Color Burst 2, and Color Burst 3. Apple removed the time remaining figure in the battery menu with this update. According to the company, It was removed supposedly because it was inaccurate and gave users unrealistic expectations of battery life, which the machine never actually met. Improves setup and reliability of Auto Unlock. Allows addition of a Chinese Trackpad Handwriting button to the Touch Bar Control Strip. Adds support for taking screenshots of the Touch Bar using the Grab app or Command-Shift-6 shortcut. Fixes an issue that caused the Touch Bar emoji picker to appear on the display. Resolves graphics issues on MacBook Pro (Late 2016) computers. Improves setup and opt-out experience for iCloud Desktop and Documents. Fixes an issue with the delivery of Optimized Storage alerts. Improves audio quality when using Siri and FaceTime with Bluetooth headphones. Improves the stability of Photos when creating and ordering books. Fixes an issue that prevented installation of Safari Extensions downloaded outside the Safari Extensions Gallery. Boot Camp on supported Macs. Fixes an issue that prevented some screen resolutions from being available on third-party displays. The update can be downloaded from the Mac App Store app on your computer.